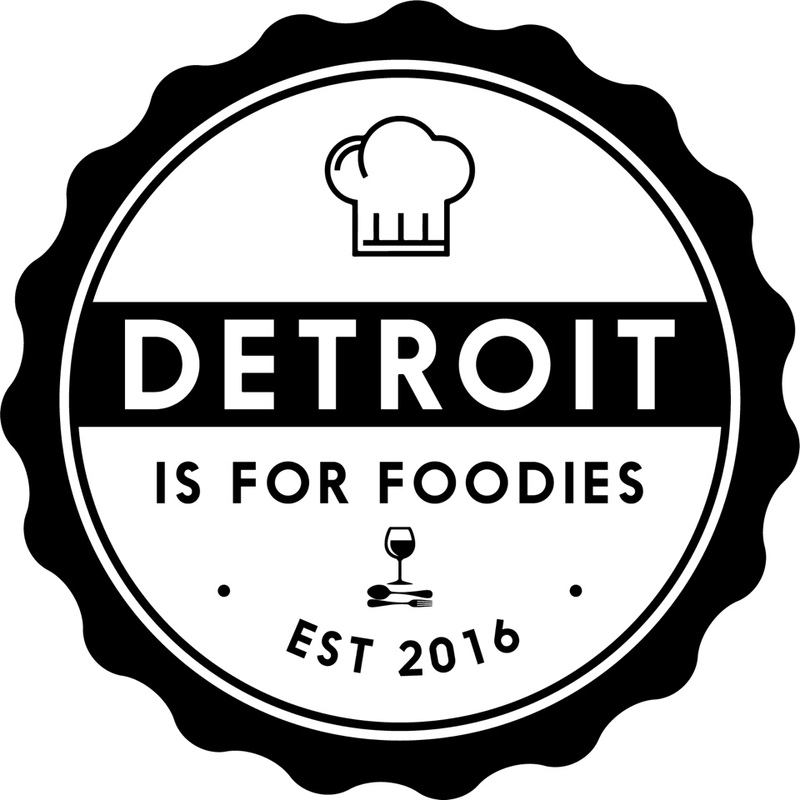 Potato and Sausage Stew - Detroit Is For Foodies - Delicious and so easy! This is such a great one pot weeknight meal! Just a few ingredients in one pot, about 30 minutes of your time and voila! 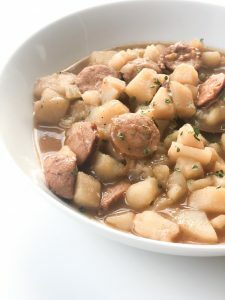 You got yourself a delicious Potato and Sausage Stew. 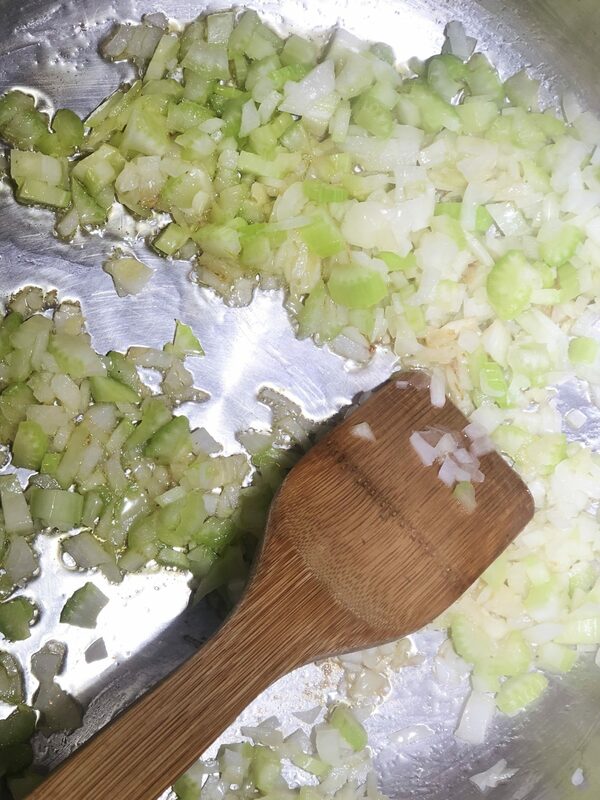 Every good meal starts with a little sautee of onions and other veggies. Next, add the potatoes, the spices, chicken stock and sausage slices or cubes and you’re done! Easy as that. I used Smoked Andouille Chicken Sausage from Trader Joe’s for this batch because that’s what I had on hand. Feel free to use any type of sausage you might like for this. It is great with Italian Sausage and ham bits as well. Give it a try with your holiday leftovers. Because leftovers are the bomb! The Andouille Sausage was nice and spicy. A hot bowl and the spice equals a great sinus therapy too. Not kidding. It’s not unbearably spicy but, perfectly spicy for this time of the year. If spicy is your thing, you need this. If not, make it without spicy sausage. The starch from the potatoes gives the finished meal a great consistency. 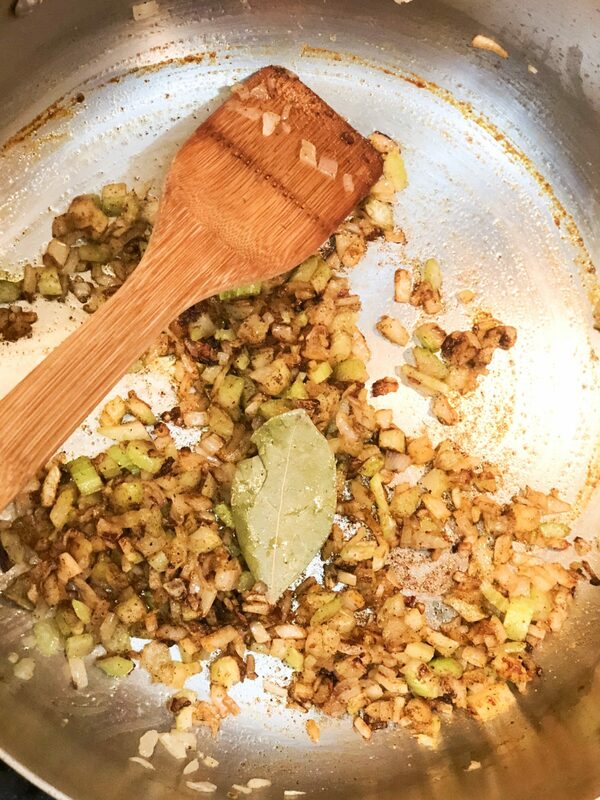 Truthfully, I love this more for leftovers than I actually do when the recipe is freshly made. There’s something about that starch and sausage the next day. Yum! I served the Potato and Sausage Stew with sauerkraut for me and pickled red peppers for my husband. So good! Garnishments, especially pickled ones, are my jam. Paired with a warm and spicy potato dish they are even better. We had leftover bread sticks from the weekend so those made it to the dinner table as well. This dish is simple and warming that’s for sure; perfect for fall and winter. It will definitely warm you right up. I guarantee. There’s nothing fancy about any of it. 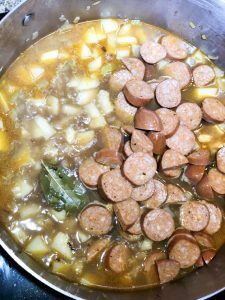 Just a good old fashioned Potato and Sausage Stew. So get to cooking and let me know how you like it. If you are looking for other comfort meals check out my Hungarian Stew with Noodles recipe. 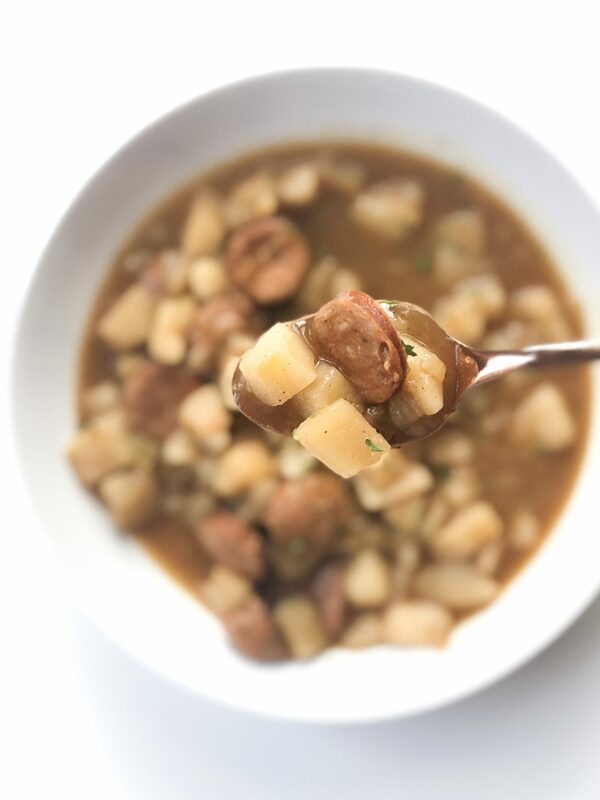 Here’s the recipe for this deliciousness; Potato and Sausage Stew. A delicious and warming meal that's perfect for fall and winter dinners. Add the onions and the celery. Cook for 4/5 minutes, until translucent. Add the spices; salt, pepper, paprika and bay leaf. Mix and let toast for a minute. Add the cubed potatoes, mix, and cook for 3 minutes. Cover the pot and bring to a boil. Reduce heat and simmer on medium for about 15 minutes. Add the cooked sausage and cook an additional 5 minutes. Remove from the heat and let stand about 5 minutes before serving.